It is our pleasure to announce our Rental Tax Program designed to help you in compliance with U.S., Mexican and Canadian reporting and tax filing obligations for your Mexican properties. If you own a property in Mexico and rent it often or only occasionally, ENJOY your rental income and SLEEP EASILY KNOWING YOU HAVE COMPLIED WITH TAX LAWS! The Settlement Company® with many years of experience in the transfer of titles and resolution of problems related to title, is now able to assist you in receiving your funds in an escrow account, complying with your fiscal obligations in Mexico, and depositing the balance of rental income and the documents you require in your country of residence to avoid double taxation! Under new government regulations, the taxpayer now has two options: One with a Federal Taxpayer Identification number, and the other with NO Taxpayer Identification number! Attached is an outline of each program. 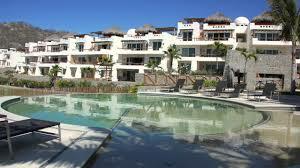 Get into Mexican tax law compliance today with your rental income. Failure to do so can result in substantial penalties, interest and other problems. Please contact us if you have concerns or questions. Our phone number in the US is 415-513-0992. Our phone number in Mexico is:01-800-627-5130. We look forward to having the opportunity to serve you!